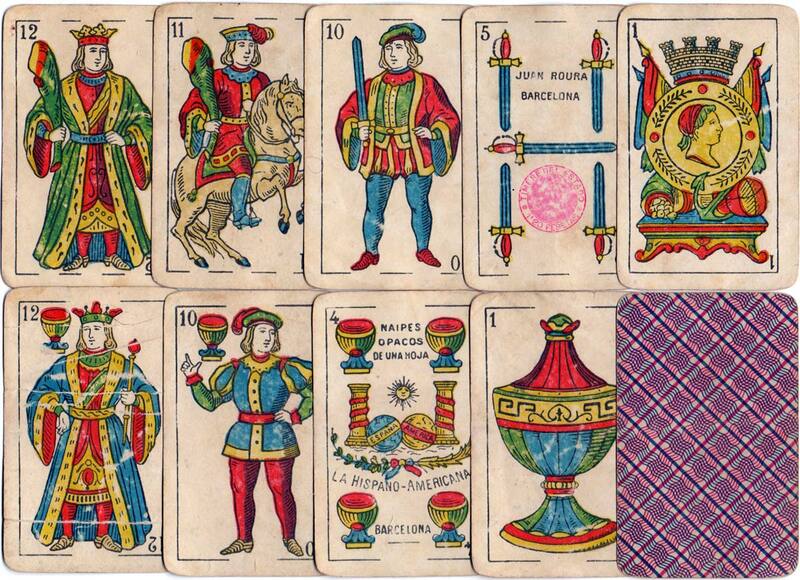 Standard Catalan type Spanish-suited playing cards with designs which evolved during the nineteenth century. 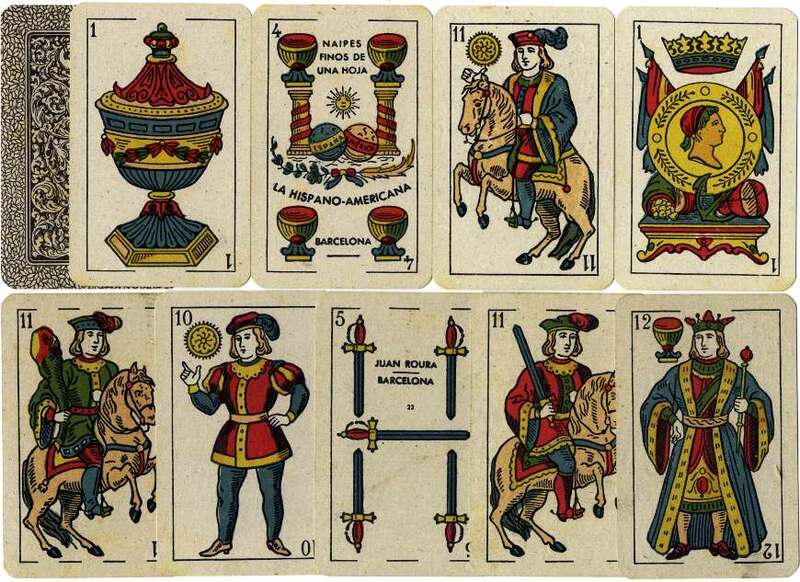 The legend Naipes Finos de Una Hoja printed on the four of cups refers to the fact that the cards were printed on a single sheet of opaque card (una hoja = one sheet) rather than on two or three-ply pasteboard. In earlier times cards were printed on laminated card to ensure they would not be transparent, but improvements in paper making technology produced better quality cardboard. Juan Roura worked in Barcelona at Calle Nápoles no. 113 until acquired by Heraclio Fournier in 1962. 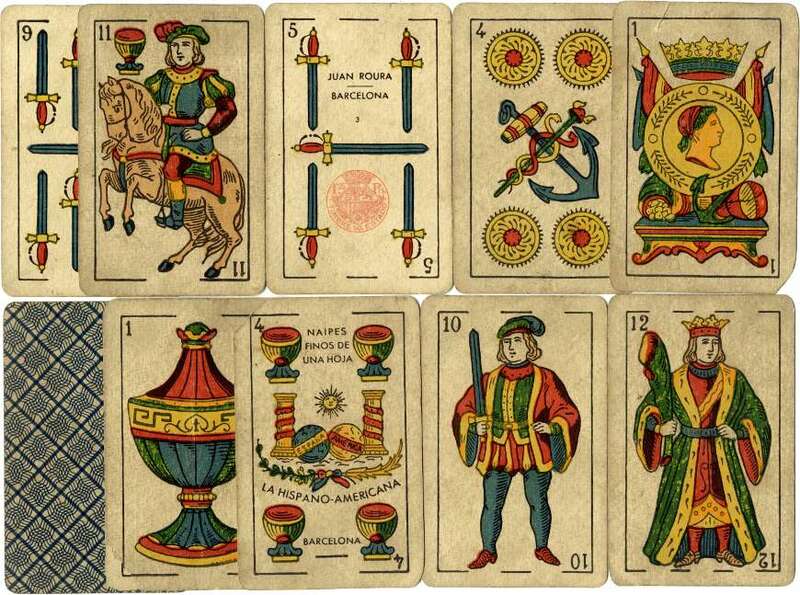 Above: cards from two examples of Catalan type "Naipes Finos de Una Hoja La Hispano-Americana", manufactured in Barcelona by Juan Roura, c.1930s. This design was used, with slight modifications, over several decades. The four of coins depicts an anchor and a caduceus, whilst the ace of coins also depicts an anchor along with a cornucopia and other emblems suggestive of maritime trade and national prosperity. The red 1.25 Pesetas tax stamp on the five of swords in both examples were used during the period c.1931-36. Roura also exported cards to South America. 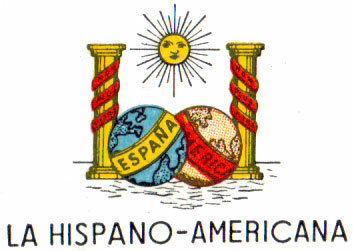 Above: cards and wrapper from another example of Catalan type "Naipes Finos de Una Hoja La Hispano-Americana", manufactured in Barcelona by Juan Roura and exported to Cuba in c.1950. There are some slight differences in the design of some cards, for example the Ace of Cups. Some of the court cards have different colouring. 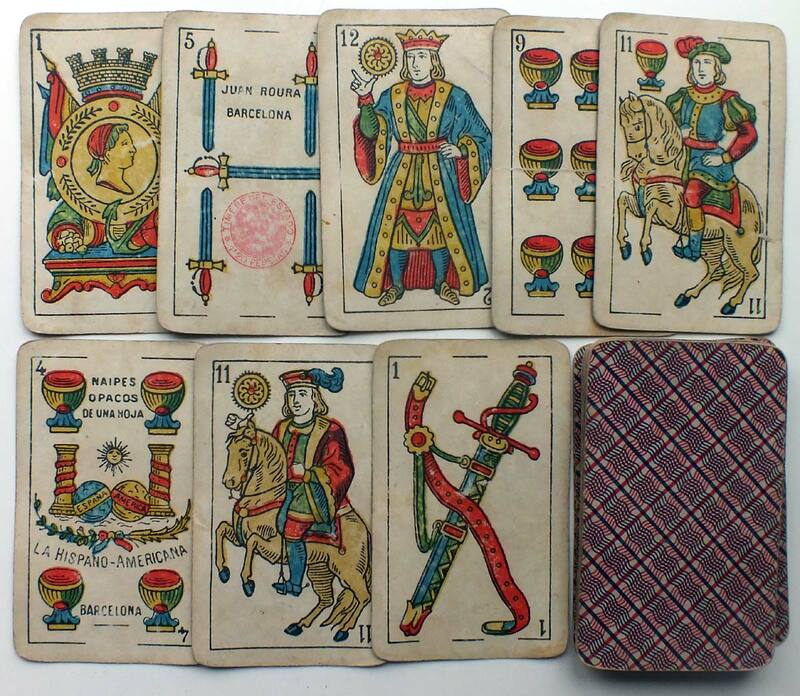 For more information about tax bands on Cuban playing cards click here.